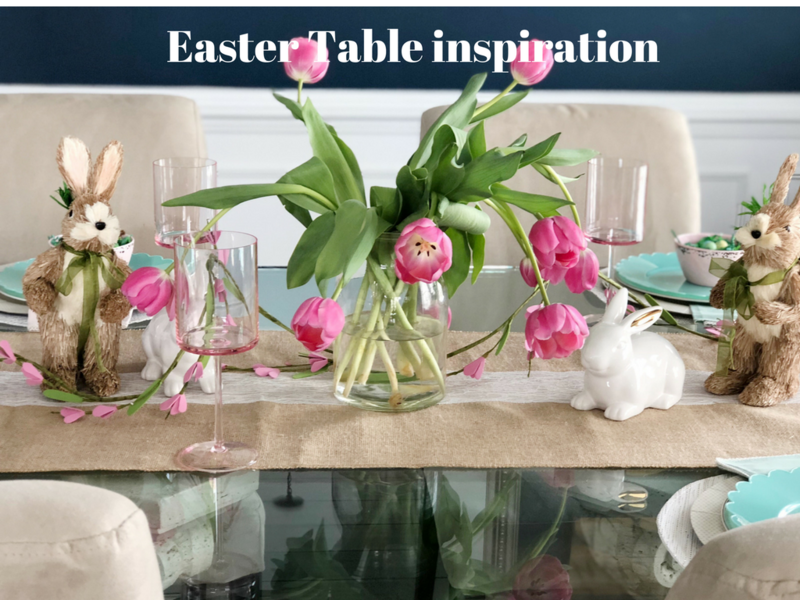 Easter Sunday is this weekend, and my plan was to post this earlier this week but you know, life gets in the way! 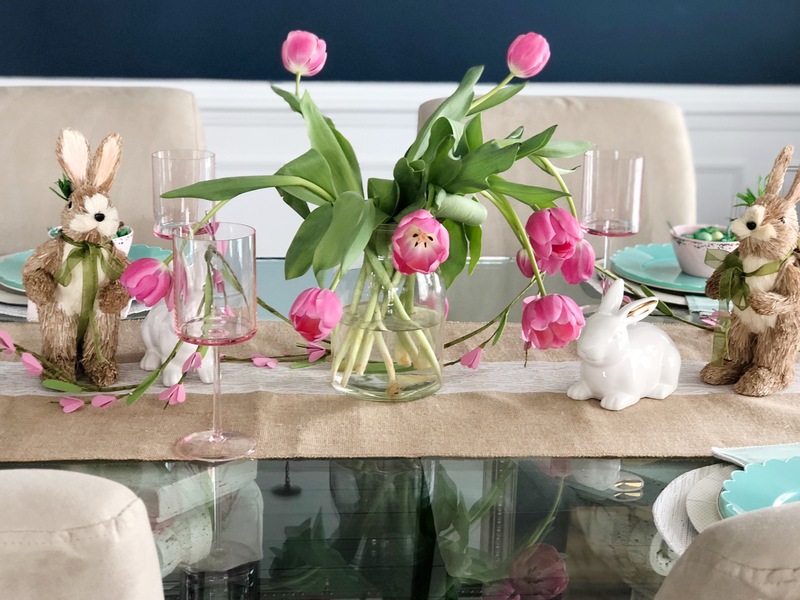 not to mention Easter is earlier this year, and it completely threw me off, also mother nature decided to prolong spring by giving us one last big snow storm last week. 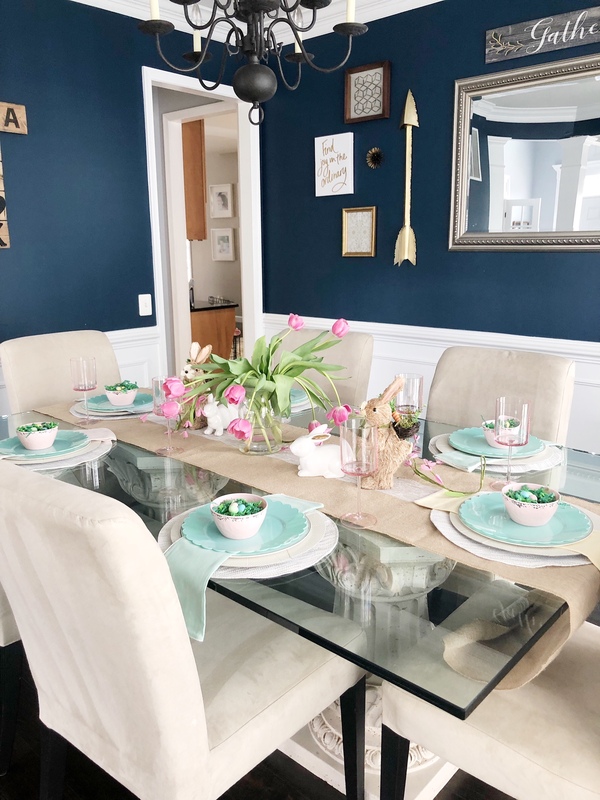 I’m so ready to say goodbye to winter and enjoy all the vibrant colors,warm weather and pretty blooms that come with spring! 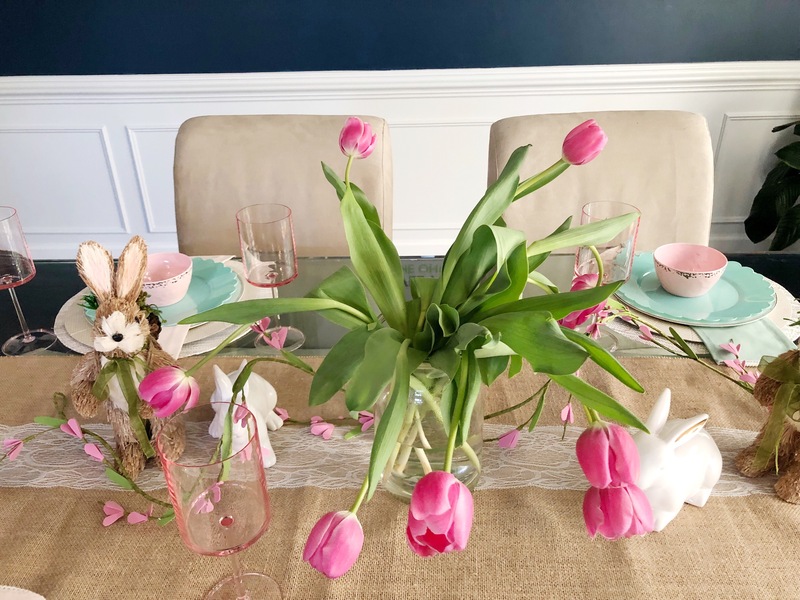 when setting a Table, I always like to focus on a focal point or centerpiece, This year, I decided to use fresh blooms and get tulips, they are so inexpensive and you can just buy them at the grocery store. 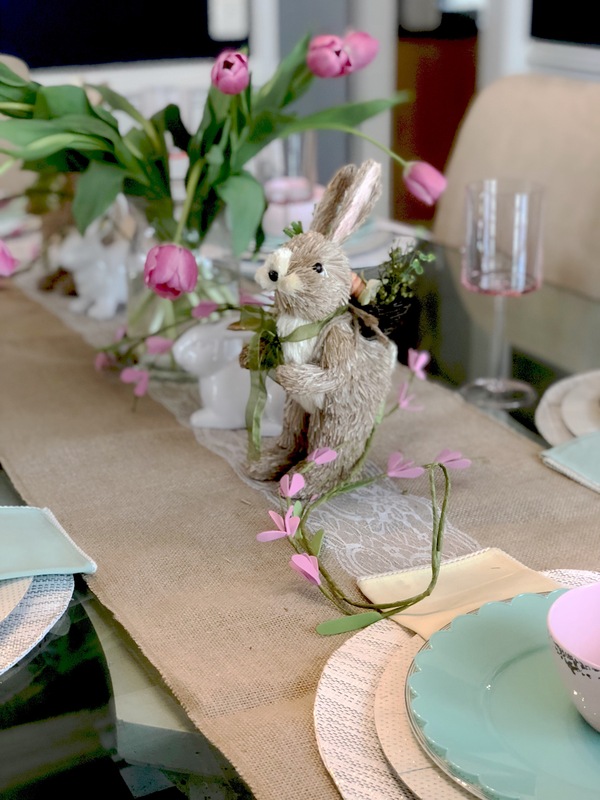 I surrounded my flowers with some bunnies,because whats Easter without some bunny decorations right? 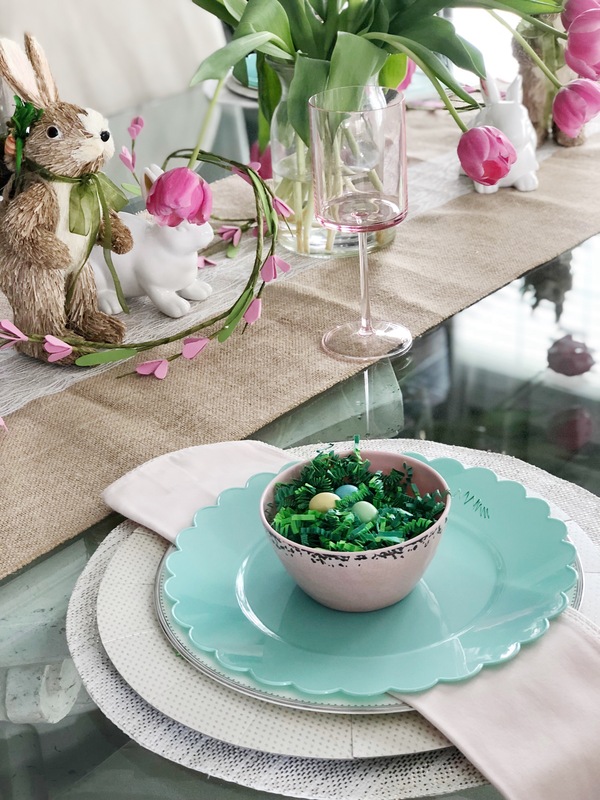 I found these cute pink plastic bowls from Home goods and added some green paper filler with some chocolate eggs on it. 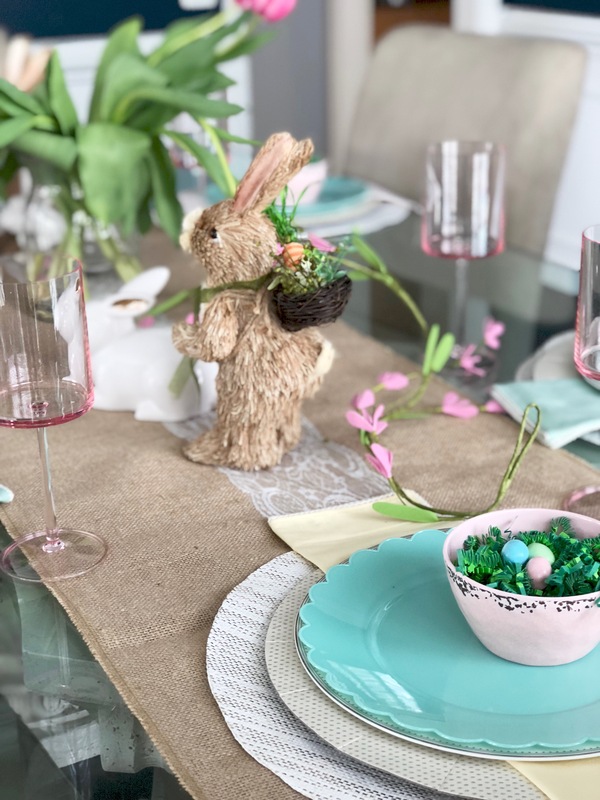 I also grabbed these pink plastic stem wear from Home Goods, they had a really good selection of pastel color goodies for your table! 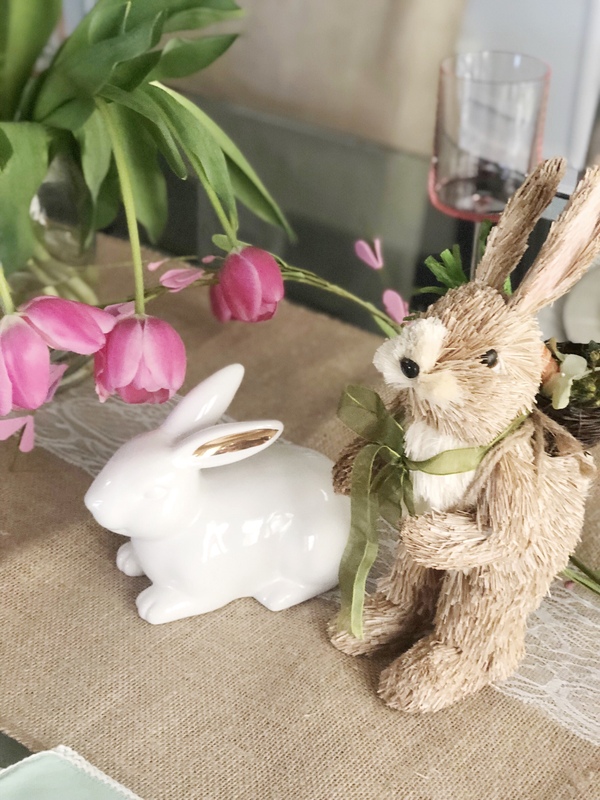 These Bunnies are from Target and Home goods, I’ve had them since last year, but target was still carrying more of the white ceramic ones these year. I also just realized I didn’t set up silverware, (I really need to get it together!) but don’t worry come Sunday everyone will have flatware! Hope everyone has a great Easter !